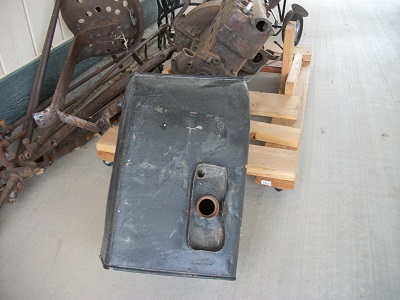 I am having trouble getting a viable original 27 undercowl gas tank. Anyone have a place they have gotten an tank that will at least fit and have a similar capacity? They are not that hard to find. I usually see at least one or two on ebay all the time. Have you tried putting an ad in the classifieds on this website? I believe there is one or more at my dad's place that he would sell. There are three on eBay right now. Can't vouch for the quality but I bet better then starting from scratch. 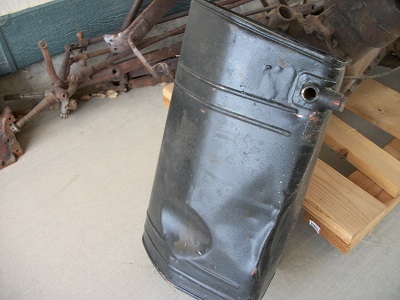 Drop me a note, Wes - I have a restored tank available near Tacoma, WA - not cheap but serviced at a reputable radiator shop and ready to install. Wes I have a tank that you can have for the price of shipping. It came out of a running car that had the body removed for a rod. The tank has a dent in the front that would be hidden when installed. Tank also needs to be cleaned out and flushed since it has been sitting for several years and I don't know any previous history. Maybe a last resort if you can't find a better one.. Harv. Good thing the oval and round tanks are made new. Just got an early Christmas gift, the Brown truck just delivered! New tank for the current project. 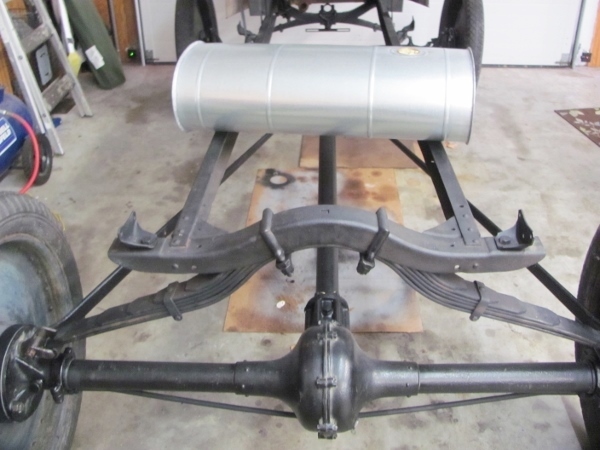 Finding good '26-'27 cowl tanks is possible, one thing to check is for loose baffles, if when you shake the tank, you hear 'em, bad news as taking that style tank apart is a good bit of work for the best of the tank guys at a radiator shop. My guy opened one up to just fix a bad spot worn thru at the clamp area, and said he wouldn't take off the end panels as the baffles are soldered there too. 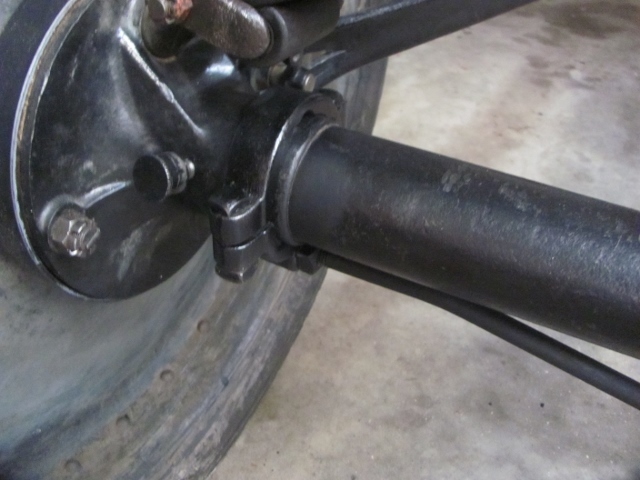 Nice accessory truss support, Dan ! What is your new project, Dan? 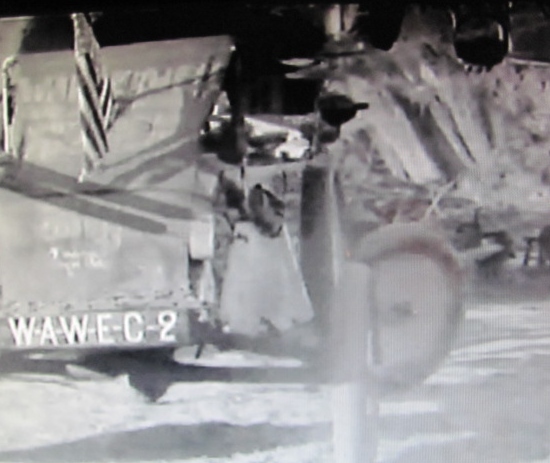 Wes, I believe Lilleker http://www.mrmodelt.com/ Is repairing the cowl tanks. Wouldn't hurt to check with them. 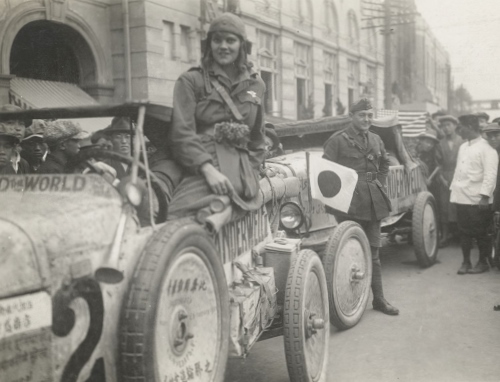 Still puttering with Aloha Wanderwell's Unit #2. Once the motor is in and test the running chassis, will begin the replica body. So meantime adding the little touches to make the project reflect the original. What manufacturer of disc wheels are you running, Dan ? They look similar to the Michelin discs on the Fire Chief's rig - have an orphan available ? Sorry - went off topic a bit ! Dan -- Thanks for the info. That's a WAY cool project! And it should keep you occupied for quite a while. Please keep us posted on your progress. OK then -- Now back to your regularly scheduled gas tank thread.